Come celebrate the release of #7: The Black & White Issue with some black-and-white activities and crafts! 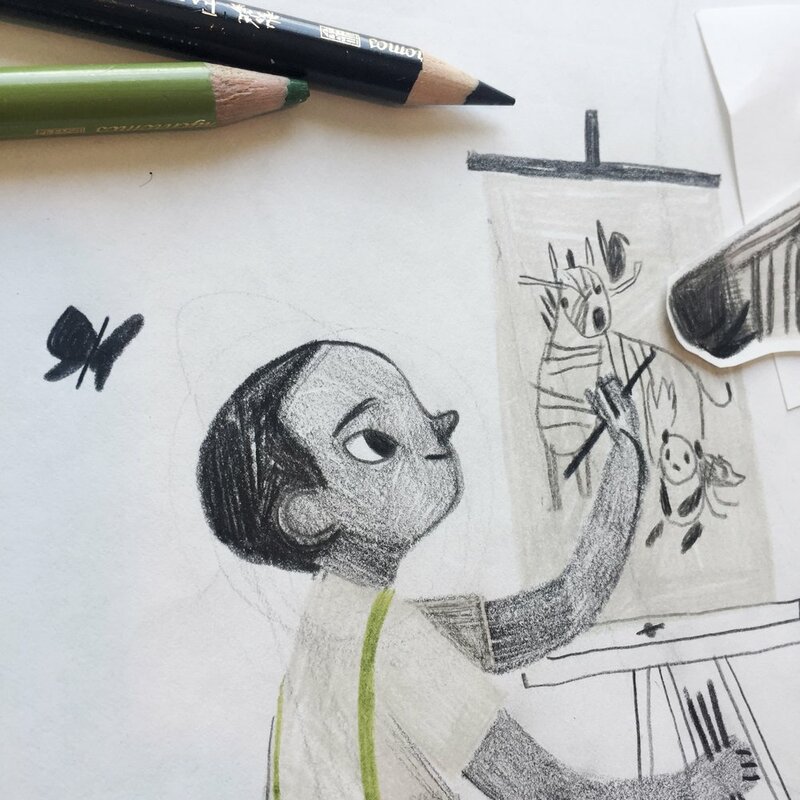 We will provide all supplies to make zines, cards, and drawings using white ink on black paper. Also make your own adorable b&w pom-pom bookmarks! Our issue #7 sponsor Sakura of America will be giving away these FREE sets of Gelly Roll and Pigma Micron pens + pouch and stickers with every Illustoria Magazine purchase. All this at the lovely neighborhood shop, Morningtide, during the family-friendly, annual Solano Stroll. We look forward to seeing you there! Free pens + pouch set by Sakura of America with every Illustoria magazine purchase on 9/9 at Morningtide! Come doodle and craft with us and make some great art to take home. WHAT: ILLUSTORIA POP-UP + ISSUE 7 RELEASE! Art by Basak Agaoglu from "Not So Black-and-White Party," from Issue 7: Black & White. Rebecca Green here (you can call me Becca!). 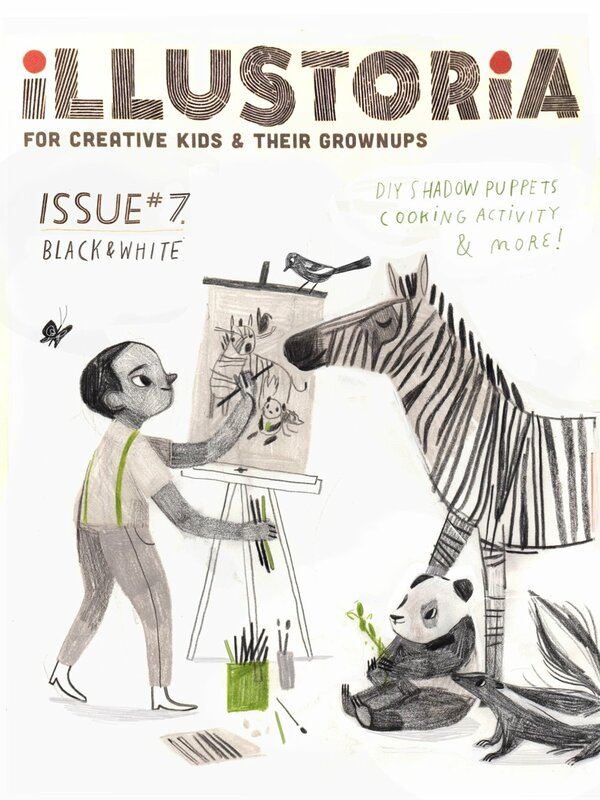 I had the pleasure of creating the cover for Illustoria Issue #7, The Black and White Issue, and today we're going to walk through a bit of the creative process behind the illustration. Besides sending along keywords, details about the features, and some of my previous art they were drawn to, Joanne and Beth of Illustoria gave me a lot of freedom to choose which direction I wanted to go with the artwork. 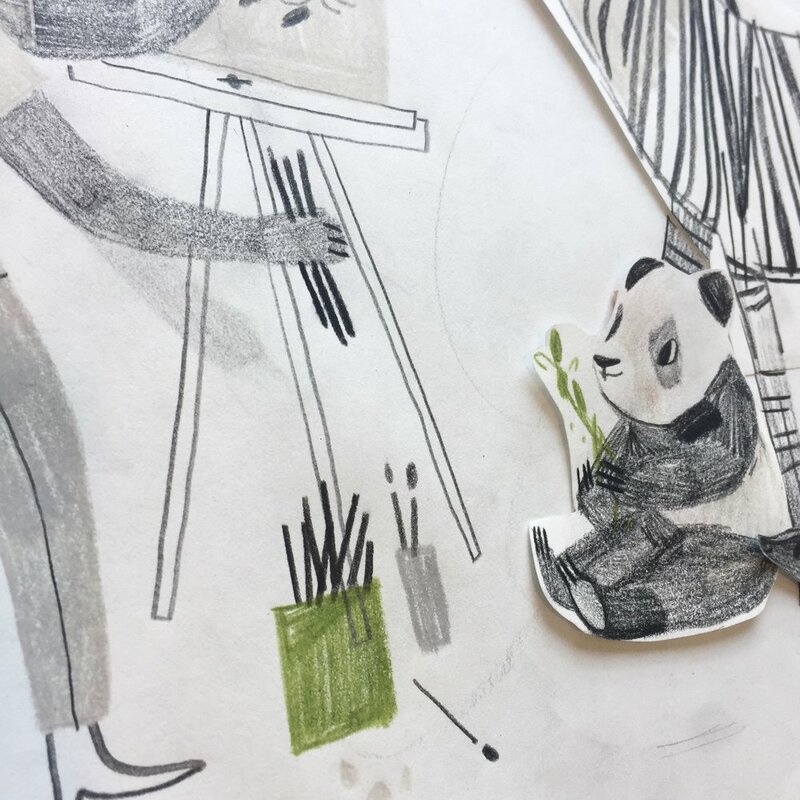 Immediately, I knew I wanted to draw a little boy with black and white animals. I started with this simple sketch. The drawing, I decided, needed something more. The boy would be...an artist! Complete with an easel and lots of brushes and markers. One thing I did like in the first drawing was the use of one simple color. Green felt right. (and not because it's my last name!) The sketch was drawn in colored pencil (I use Faber-Castell and Prismacolor). As you can see, I drew some of the elements on a separate piece of paper and cut them out so I could try out placing them in multiple places. One I had my complete sketch, I scanned it, cleaned it up a bit in Procreate (on my IPad), and send it in for approval. 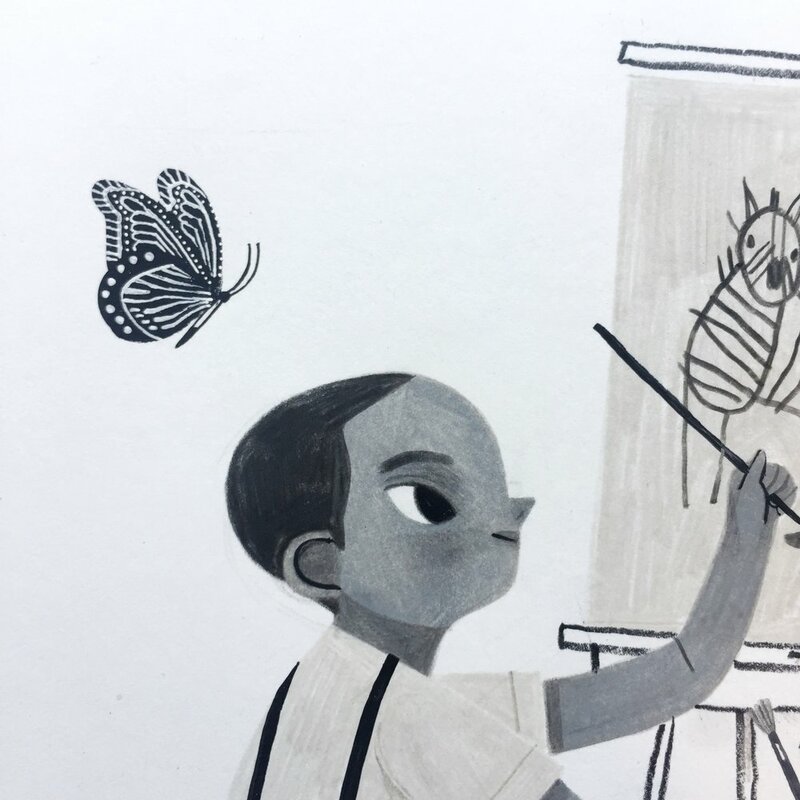 Once the sketch was approved (this meant making the image a little bigger and enhancing the butterfly), I went to work on the final. I created the final illustration in gouache and colored pencil. Here are some peeks of the cover before it was edited! The final illustration was edited in Procreate and Photoshop, along with the hand-lettered text. 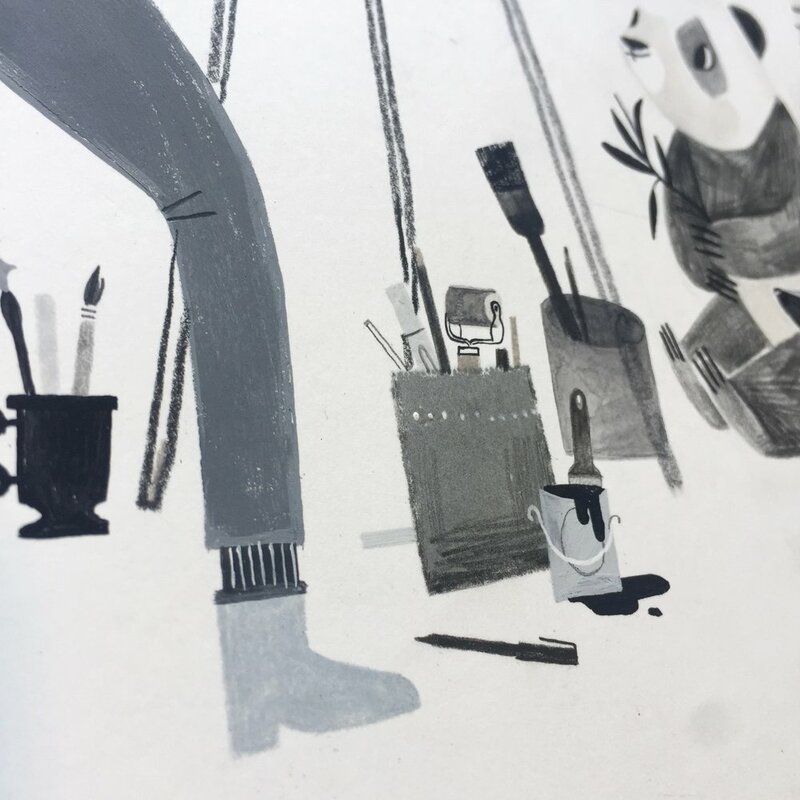 When finished, it was sent to the kind folks at Illustoria and voilà! A cover was born! 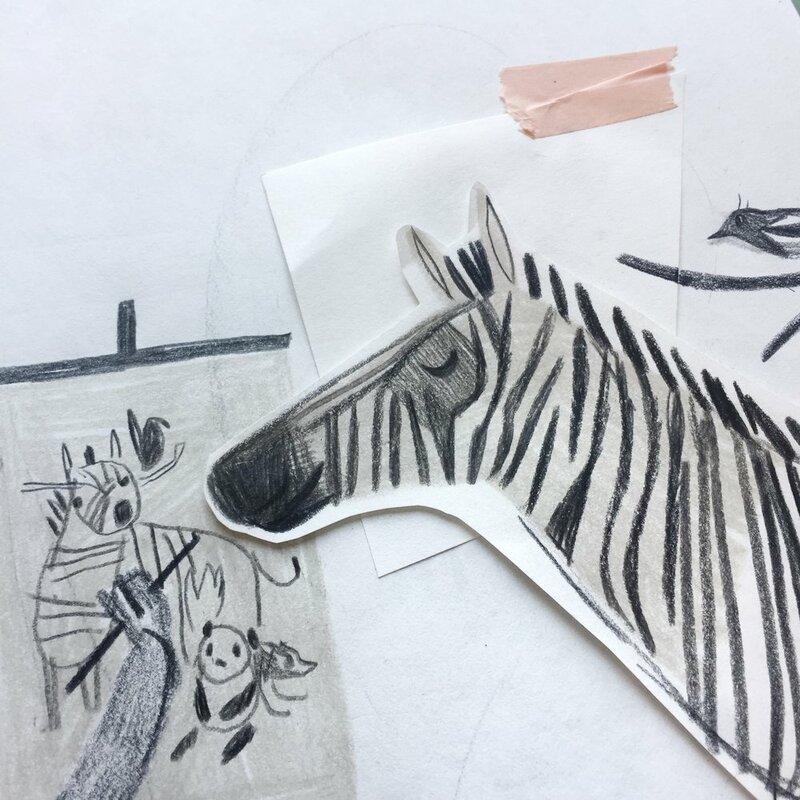 There you have it - a glimpse into the world of the cover creation. Hope you guys enjoy the issue, and thanks for letting me share a peek into my process. And thanks to Illustoria for having me! 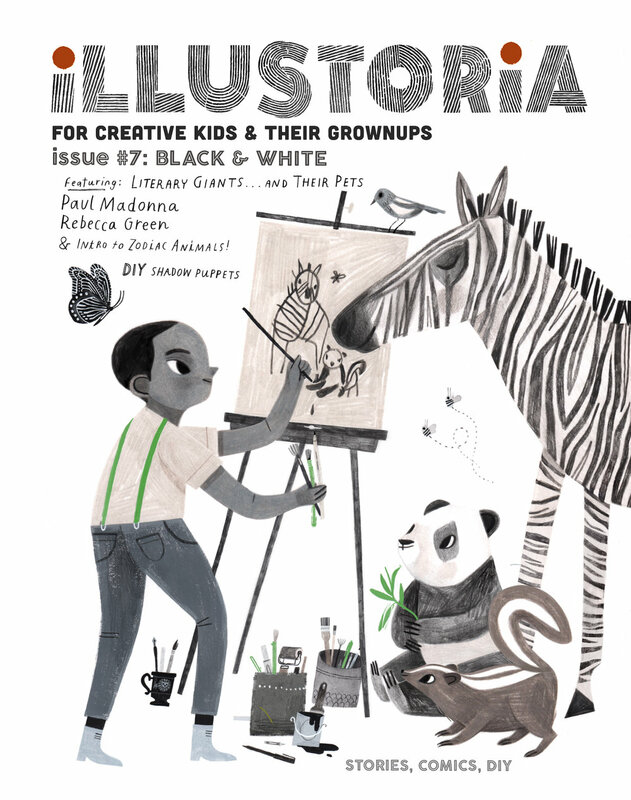 Are you an artist or writer who would love to contribute to ILLUSTORIA? Well, we'd love to hear from you! Pssst...! We may be a wee bit biased toward work that celebrates diversity, silent films, and b&w photography...but also totally open and excited to see your original ideas! Submissions due by October 12th, 2017. Find out more about our submissions guidelines here, then email your submission to: submissions@illustoria.com.